These are not isolated examples. It is decidedly rare to find a British anti-war leader mentioning Bashar al-Assad and his government in anything but an intensely negative light. 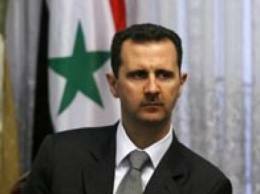 Bashar is “brutal”; he is a “dictator”; he should be indicted at the International Criminal Court. Frankly, this leader of independent, anti-imperialist Syria is subjected to far more severe abuse from the mainstream left than are the leaders of Britain, France and the US. In the imperialist heartlands of North America and Western Europe, the defence of (Preview) Syria has (Preview) been left to a (Preview)small minority, although thankfully the (far more important) left movements in Venezuela, Cuba, Nicaragua and elsewhere have a much richer understanding of anti-imperialist solidarity. Now, optimism and jubilation have their place, but they shouldn’t be used to deflect valid criticism or avoid serious reflection. Anybody who has been involved in the anti-war movement in Britain over the past decade will have noticed the level of activity steadily dwindling. Just two years ago, we witnessed a vicious war fought by the western imperialist powers (with Britain one of the major instigators) in order to effect regime change in Libya. Over 50,000 died. Murderous racists were brought to power. A head of state was tortured and murdered , while imperialism celebrated. Decades of development – that had turned Libya from a colonial backwater into the country with the highest living standards in Africa– have been turned back. Stop the War Coalition weren’t able to mobilise more than a tiny protest against this war, and yet we are expected to believe that, two years later, Britain suddenly has a vibrant and brilliantly effective anti-war movement capable of preventing war on Syria? This isobviously not the case. The Syrian government maintains a commitment to a strong welfare state, for example ensuring universal access to healthcare (in which area its performance has been impressive) and providing free education at all levels. It has a long-established policy of secularism and multiculturalism,protecting and celebrating its religious and ethnic diversity and refusing to tolerate sectarian hatred.